How to Care for Orchids – Prairie Gardens Orchids may look like high-maintenance beauties, but once you know what makes them flourish, you'll find them a cinch. Just follow these simple tips from our Plant Experts and your fancy-dancy orchids will be happy campers! Orchids may look like high-maintenance beauties, but once you know what makes them flourish, you’ll find them a cinch. Just follow these simple tips from the PG Plant Experts and your fancy-dancy orchids will look their best. Filtered or medium light is the best for Orchids, so a southern exposed window is usually ideal year round. Water thoroughly and then not again until the soil is nearly, but not completely dry. General rule of thumb is 1/4 cup of water weekly. After watering, pour off any excess water collected in the bottom of your container. You can also water by placing ice cubes and allowing them to melt on the soil. Substitute about 3 ice cubes for 1/4 cup of water. Orchids like to be somewhat root bound and do not need to be repotted often. Roots protruding from the top of the soil or bark is normal. When replanting is absolutely necessary, trim any dead roots and carefully replant existing roots in a porous media with good drainage, like our Miracle Grow Orchid Soil. 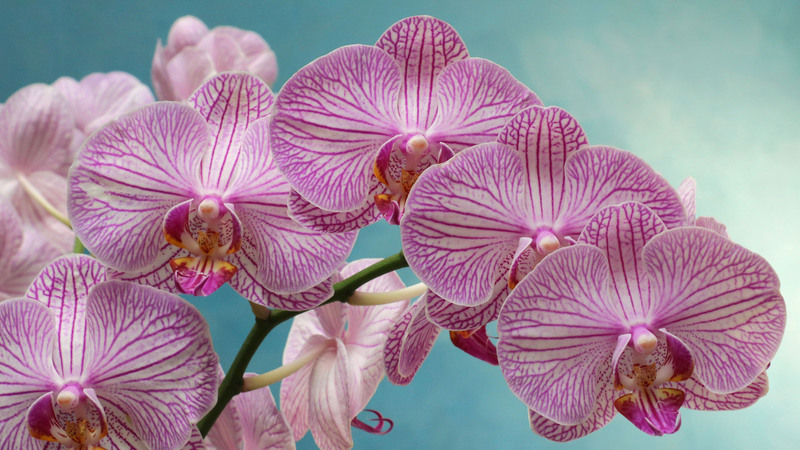 Orchids need very little fertilizer, but do benefit from light feeding using a balanced fertilizer, such as 20-20-20. We recommend Miracle Grow Orchid Food, which you can find on our solutions wall. Just follow the label instructions. Just remember to not fertilize your Orchids when dry, which can burn it’s roots. Instead, fertilize after watering. After blooming, Orchids go through a rest period for as long as 8-12 weeks. If you Orchid stops blooming in Winter this rest period may be a bit longer due to lack of sun. Give Prairie Gardens Plant Experts a call, they’ll be happy to help.